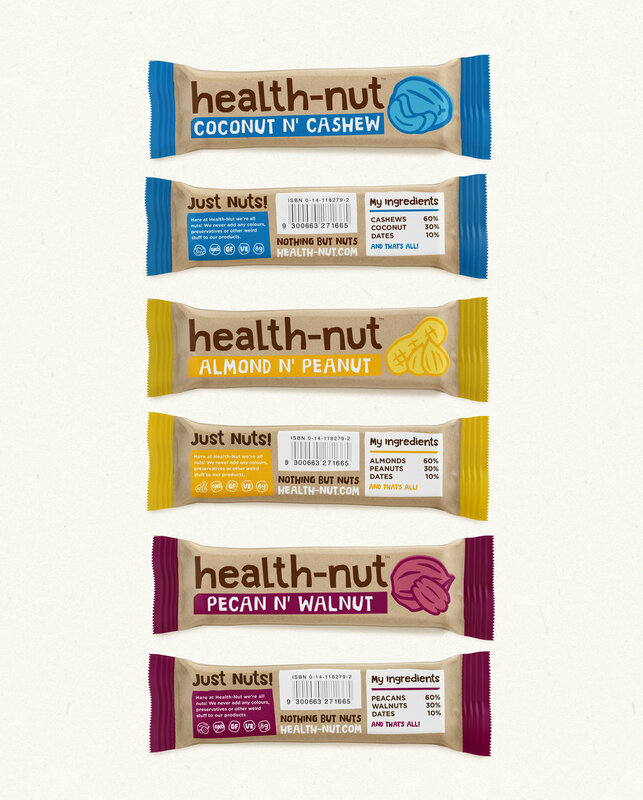 Health-Nut is a small, family run business offering healthy snacks made from nuts. The challenge was to create a natural and uplifting identity. After some initial experimentation with hand-drawn logotypes, I decided to cut the letters out of paper. This created a sense of organic jaggedness, as well as injecting personality and quirkiness. A bright colour palette was then combined with natural colours and textures, complimenting both the playfulness of the brand as well as it's simple ingredients.